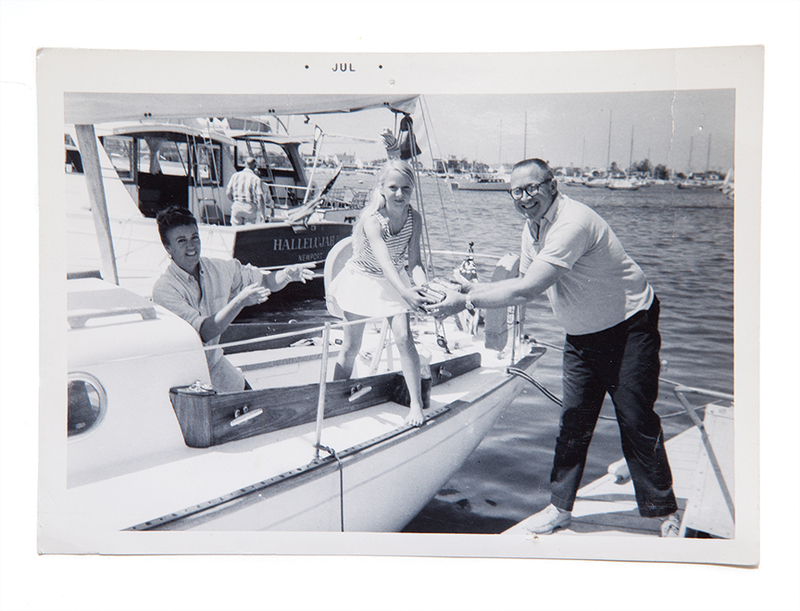 Molly with mom, Marilyn, and dad, Frank, loading the sailboat. My dad [Frank Lynch, former president of Northrup Corp.] was the one who got into sailing first. He was a Sea Scout when he lived in Santa Cruz. He moved to L.A. to work for Northrup, and a lot of the engineers were involved in sailing. It was a family activity that we did as recreation. Our second boat was an Alberg 35. It had a little more accommodations so that we could go to Catalina. We’d load books and the food for our annual summer vacation. It was like camping. We’d sleep in sleeping bags and use the barbecue. I wore my orange life jacket everyplace. It was part of my summer attire. I can even remember wearing my life jacket in the supermarket.